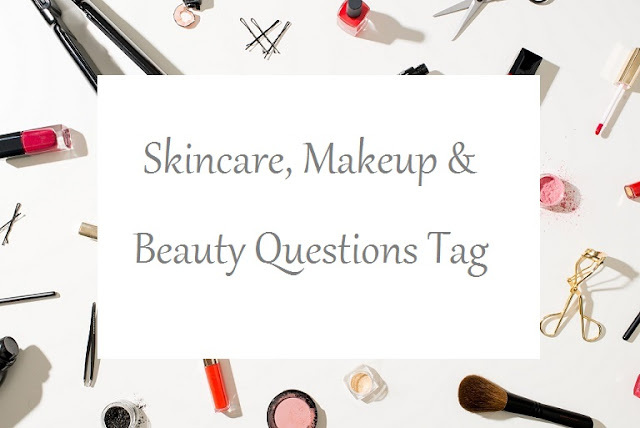 I have been tagged in the Skincare, Makeup & Beauty Questions Tag. Thank you for everyone who tagged me in this tag, I hope you all enjoy reading it. Twice, in the morning and before bed. Really dry. It’s horrible in the winter because your skin goes dry anyway but in the winter if I don’t wear a lot of primer and moisturiser by the time it’s the evening my make up will be cracked and look horrid. It’s one from Garnier from their pink grapefruit range which smells amazeballs, and makes my skin so soft and feeling fresh. Do you buy your make up on eBay? I have done a couple of times but you have to be really careful when doing so. A lot of companies that do their own brands that may be cheap and promising are usually tested on animals or made with harsh chemicals. Do you like drugstore make up? Yeah, the price of brands doesn’t effect me. If I like something, I’ll buy it no matter what brand it is or where it’s from. I love Rimmel London and Barry M for drug store brands. Do you go to CCO’s? That’s cosmetic company outlets for anyone who doesn’t know that already, although I’m sure that you all do being interested in make up. I do, I haven’t been in about a year but I have one coming up I plan to go to, I did used to go to them a lot. I went to university and studied make up artistry and passed with flying colours which I am so proud of my self for. I also took an eight hour course in college a few years ago which was fun but I didn’t feel like it taught me anything I didn’t already know but I got a certificate at the end of it and made some lovely friends. Getting as much experience as possible (even if it doesn’t teach you anything at first) is awesome - although the class didn’t teach me anything, I met a lovely girl there and she taught me things she knew which I didn’t know yet and vise-versa. Are you clumsy in putting on make up? My hands always shake when I’m doing liquid eye liner some times but otherwise I’m good. Name a make up crime that you hate? I hate unblended make up, I think it looks so stupid. There should be a crime against it! Do you like colourful shades of make up (lipstick, eye shadow) or neutral ones? It really depends on what mood I’m in and what I’m wearing so I’m going to say both. There are so many to pick from. FleurDeForce always looks stunning. 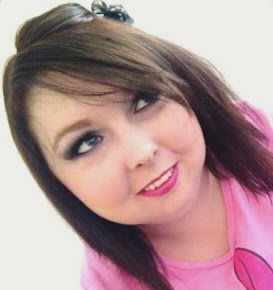 She isn’t a celebrity but is a youtube beauty guru so you all may know her anyway (if not, check her out!). Emma Watson, Cheryl Cole and Katy Perry always look beautiful too. Lip balm. I hate the feeling of my lips being dry. Could you ever leave the house without any make up on? Yeah, it really doesn’t bother me that much as long as my hair is done. Not at all, I really don’t think I look suitable without make up on but I will brave the outside if needed. In your opinion, what is the BEST make up line? I love Rimmel London for foundation but I love Coastal Scents for everything else. What do you think of make up? Make up is amazing, it can make the ugliest person attractive. I know that’s really mean to say but it’s true and this blog is about honesty. It’s not that make up makes you look good, it makes you feel good too… it makes you feel like a really pretty princess and shouldn’t every girl be a princess?! I tag: Daniella, Tamara, Chloe, Heather, and Charlotte. If any of you do this blog tag or if you have done it, tweet it to me? I'd love to read them! Have a wonderful day beautiful's!